Every year MAUK organizes a number of events aiming at promoting values of knowledge, innovation, professional growth and education for personal and country’s development. 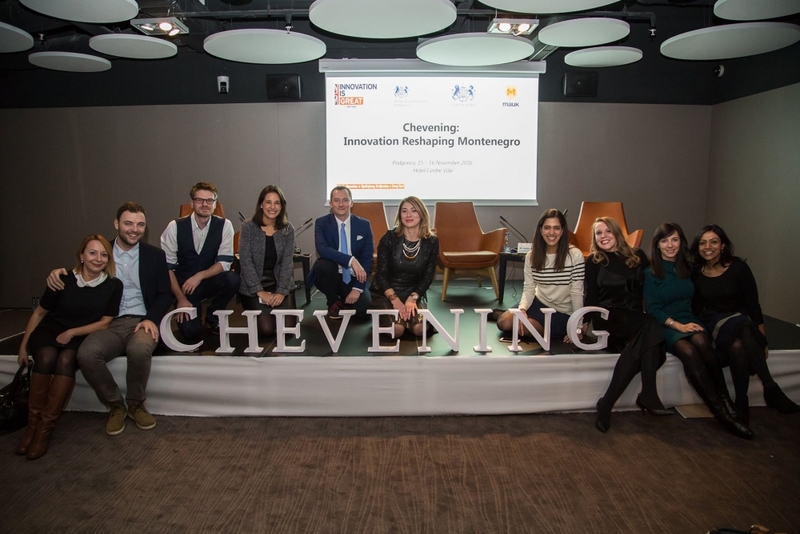 In November 2016, in cooperation with the British Embassy in Podgorica and the Chevening Foundation, we organised the first Chevening Forum Innovation Reshaping Montenegro from 15 to 16 November. 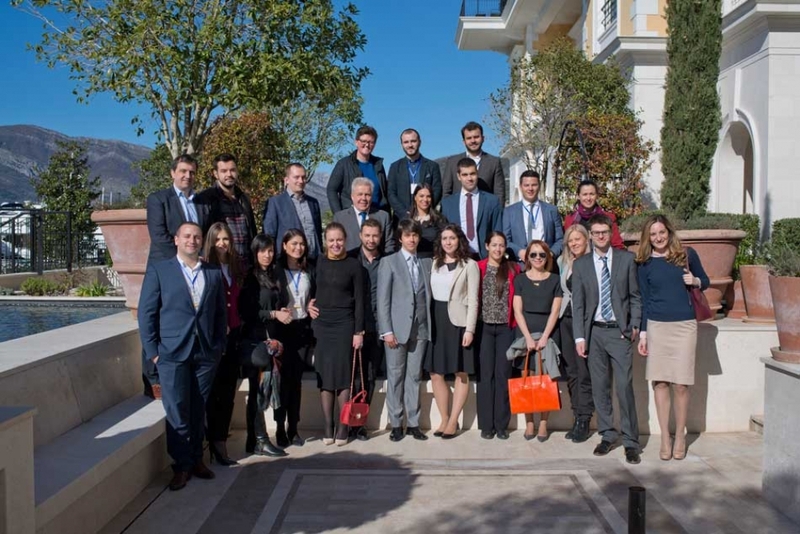 Chevening Alumni in Montenegro were honoured to have had the opportunity to meet His Royal Highness Prince of Wales during his visit to Montenegro on 18 March 2016. The first-ever Montenegro-UK Chevening Business Forum 2016 gathered government and international officials, business-people, and guests from Montenegro, the UK, and the region for talks about the business environment in Montenegro and making the country more attractive for British and other foreign investment. The event took place in Tivat, Montenegro on 5-6 February 2016 and was launched by Mr Igor Lukšić, President of the Council for Improvement of Business Environment, Regulatory, and Structural Reforms and Deputy Prime Minister and Foreign Minister of Montenegro and H.E. Mr Ian Whitting, British Ambassador to Montenegro. 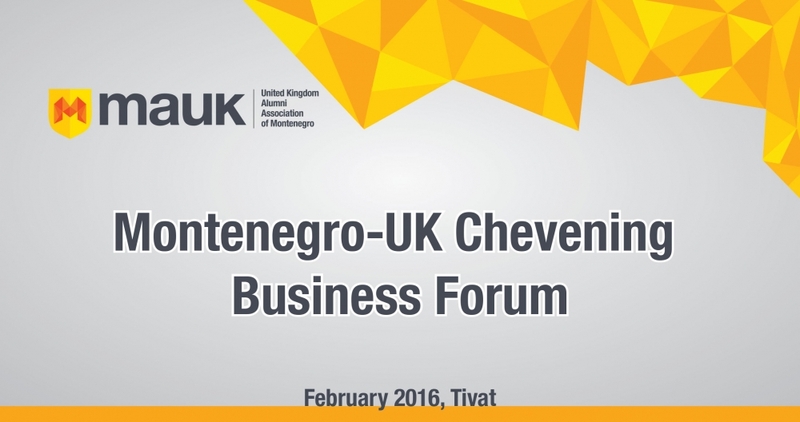 The UK Alumni Association of Montenegro (MAUK) is organising the first-ever Montenegro-UK Chevening Business Forum which will take place on 5-6 February 2016 in Tivat, Montenegro.